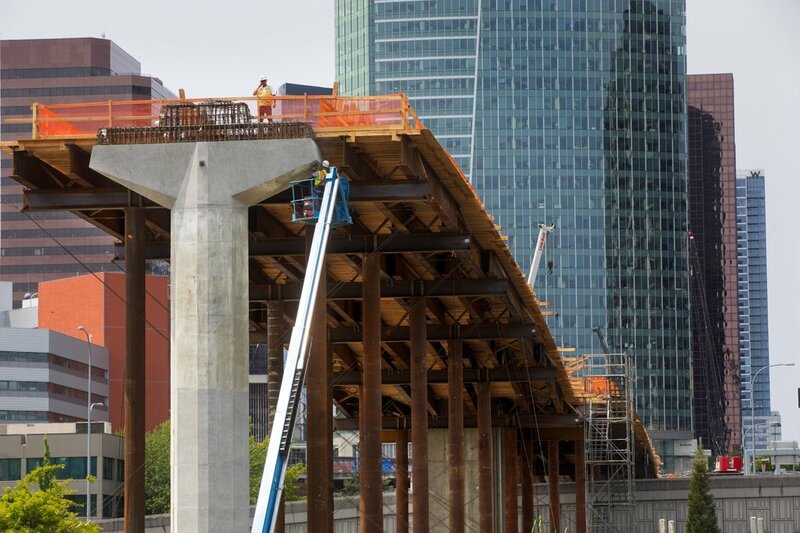 If you're traveling through downtown Bellevue next week starting around 9pm, please be aware of overnight closures on I-405 and on NE 8th Street for East Link light rail construction. Northbound I-405 off-ramp and the southbound on-ramp to and from NE 6th Street closed 9 pm – 5 am. Eastbound NE 8th St on-ramp to southbound I-405 closed 10 pm to 5 am. Northbound I-405 HOV lane and one left lane from NE 10th Street to Main Street closed 10 pm to 5 am. Northbound I-405 off-ramp and the southbound on-ramp to and from NE 6th Street closed 9 pm to 5 am. NE 8th Street between 116th Ave NE and 120th Ave NE full closure (adjacent to Whole Foods Market), Mon. April 8 – Thurs. April 11 and Mon. April 15 - Thurs. April 18 , 11:59 pm to 5:00 am.